Proximity engagement is a way of improving a user experience by presenting relevant content in a particular location. This can be achieved by using geofences if the experience is outdoors (city guide, archeology site) or using beacons if the experience is indoors (museum, retail, etc...). That way you can present important content to your visitors while they move around the venue or outdoor setting. Beacons are small hardware devices that can be located almost anywhere. You can monitor the users indoor location by reading the range (in metres) between the users device and the beacon. The following diagram shows a small part of the Sensā platform. 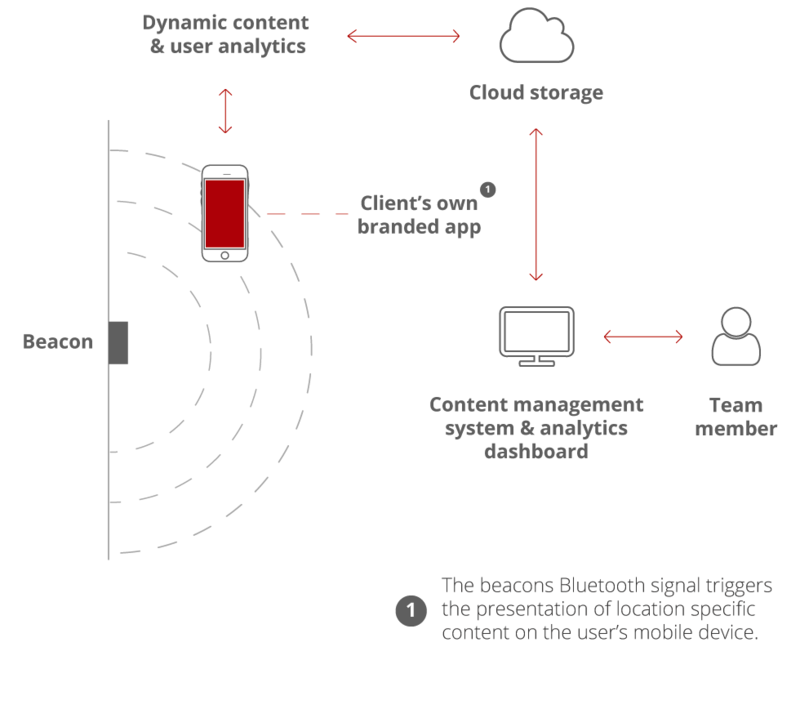 In the diagram you can see the users device with the beacon app and when in range it will trigger content that was stored by you in the content management system provided by us. Sensā is a platform that enables you to create your own mobile app, add/update content using your own customised content management system and review user data on you own analytics dashboard. By mid-2018 it will also include an artificial intelligence system that will automatise most of the client tasks when it comes to personalised user engagement and content management. In the first instance we are making full use on proximity technology and all the benefits that come with it. Proximity technology was described above and it will work with beacons (iBeacon and Eddystone) and geofences (GPS). 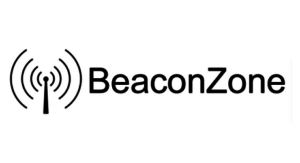 The technology behind beacons keeps making progress and is starting to be used in a multitude of sectors that were very sceptical as to their value up until now. The good news about this technology is the fact the user does not need to take any action, other than having their phone turned on, in order to benefit from receiving relevant location based content . The diagram describes what happens when a user comes in contact with a beacon. 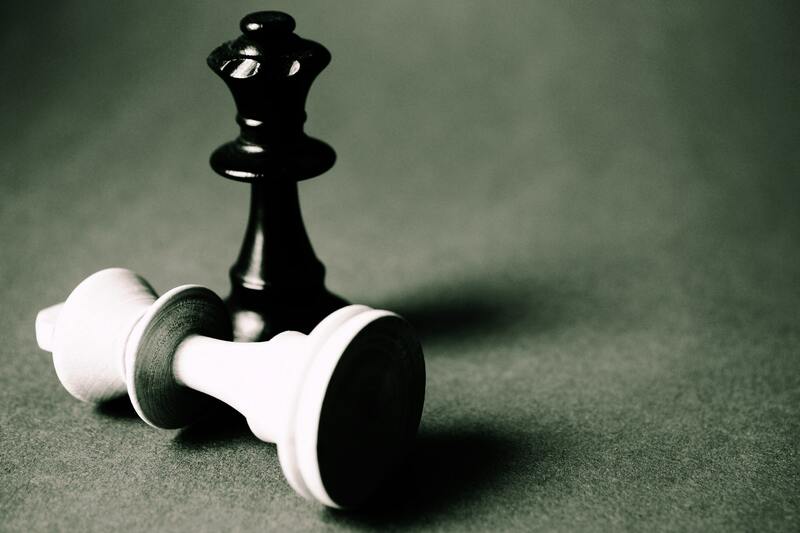 The other element of the platform we are working on is an AI system that, after a period of learning, will push relevant content to a particular user based on what it has learned from their behaviour. It will also automatise most of the work of the client when it comes to improving user engagement within a certain space. Artificial intelligence has evolved throughout the years and is now helping organisations and sectors to better understand what their users want or how they work or to run a better business. It is not limited to that but is one use case of an AI. 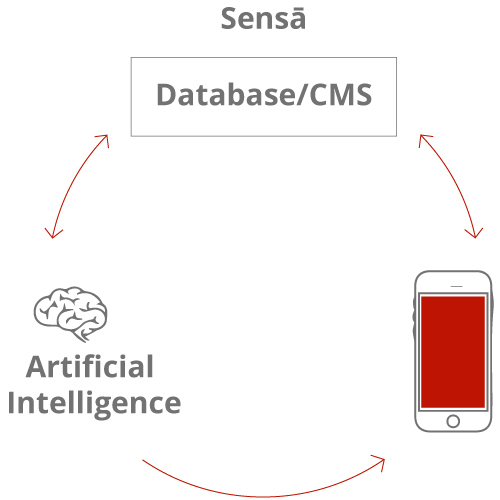 When we created Sensā we had the vision of an automatised platform in which the client could be confident that by learning user behaviour and content the platform could provide a better understanding of how to provide a greater user experience by presenting the right content at the right moment. This vision isn't miles away just now due to advances on technology and we are proud to say that within 1 year we will have a functional AI that will automatise some work within Sensā. Technologically speaking we are using Caffe2 as our deep learning framework to help us classify image, text and speech. 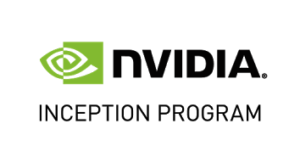 We are partnering with Nvidia for their AI and deep learning knowledge and also their unique GPU hardware system capable of speeding things up. 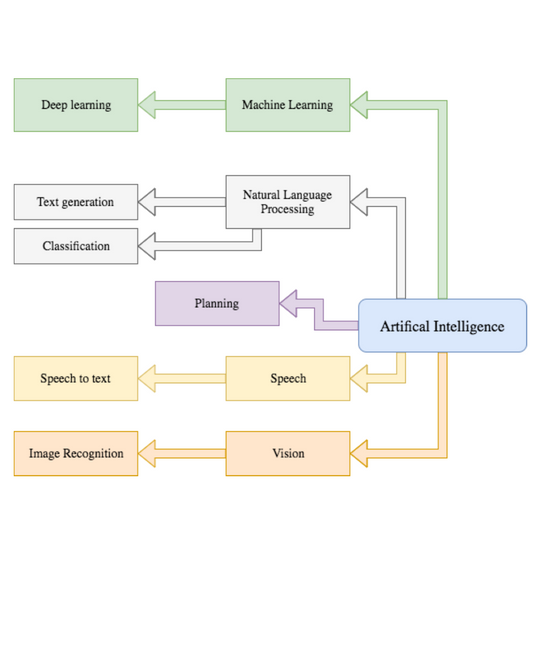 Obviously the diagram shown does not reflect all the possible branches of AI but you can see the realm of possibilities that AI can achieve. Send us details of any interesting proximity engagement or AI technology you are working on and we will be happy to share on our site. 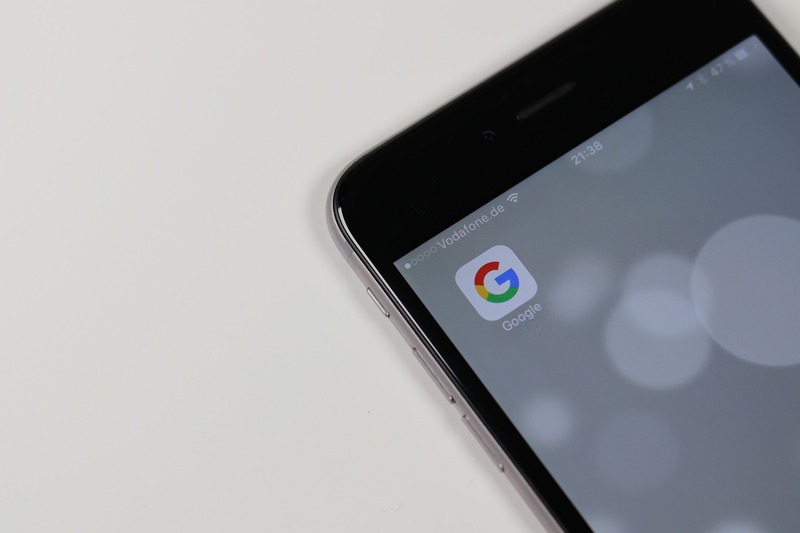 Eddystone URL beacon performance in a real life testing scenario. From 5G to IoT, AI, Apps and smart homes, there was a bit of everything. After launching its first car last year, Alibaba is digging deeper into the automobile industry.